Republished on Wednesday 30th January 2019: We’re bringing this review back from the archives following the announcement of February’s PlayStation Plus lineup. The original text follows. The back and forth of a mano-a-mano sword fight rarely gets encapsulated effectively in video game form, and even the likes of Nioh or Dark Souls – with their more methodical combat – still feel like they fall on the action side of the coin. 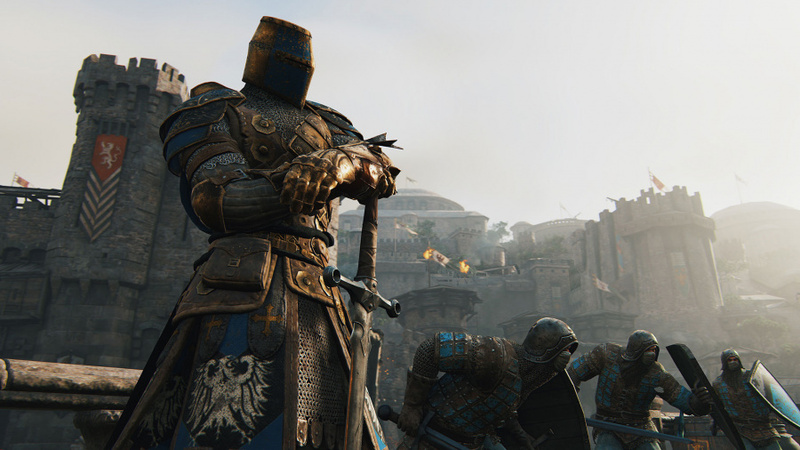 In the past, if you were looking for some more deliberate sword fighting then you’d have to hunt down niche titles on PC, but with For Honor Ubisoft has taken a gamble by putting its money behind a multiplayer-focused game that turns its back on guns completely to test your skills wielding all manner of blades, axes, and spears. 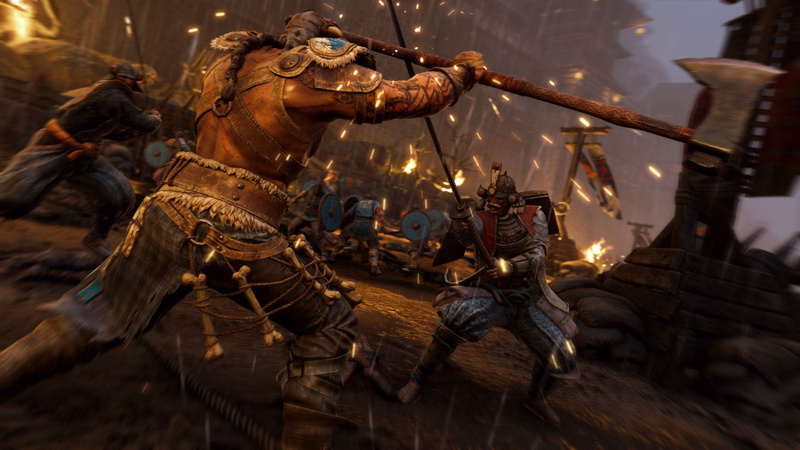 Set in a world where knights, samurai, and vikings all ended up as neighbours, most of your time playing For Honor will be spent locked in combat across several different multiplayer modes, either with AI bots or other players. Before you jump into the multiplayer, though, it’s strongly recommended that you invest some time learning the mechanics at the core of the game – especially since the competition online can be brutal to say the least. 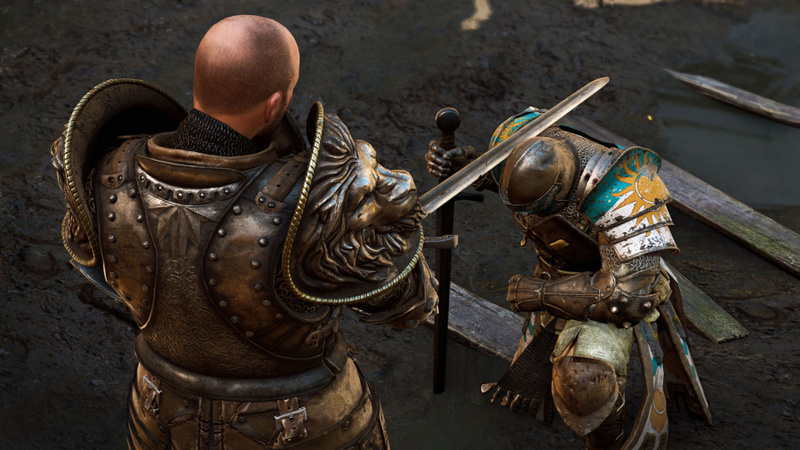 Outside of the usual tutorials – and some extremely useful tips videos for each of the twelve characters – the single biggest help you’ll find in lifting the curtain on For Honor’s mechanics is to play through the single player campaign. Divided into three chapters – one for each of the game’s factions – you’ll spend time using each of the character classes giving you the chance to familiarise yourself with each of their move sets, while working out which you feel most comfortable playing. For what’s essentially a glorified tutorial, the campaign’s surprisingly enjoyable, and while it won’t be topping any lists in terms of its story, it does a great job in giving personality to characters you might only spend a short amount of time with. It also manages to weave in some grandiose set pieces that when coupled with its effective characterisations succeeds in making you at least want to see it all the way through to its conclusion. Visually, For Honor also puts in a strong performance with not only some nicely detailed character models, but some well realised environments as well. It also manages to maintain a solid 30 frames-per-second on the PlayStation 4, and while it feels like the combat would certainly have benefited from a higher frame rate, you won’t feel like the gameplay has been compromised by the decision to prioritise a bump in visual fidelity. Whether you settle on primarily using a dagger wielding assassin or a hulking brute sporting a flail, they all have a few things in common. Chief amongst these is how you direct strikes and parries. By holding the right stick either left, right, or up, you’ll change your fighter’s stance, which in turn will determine the direction you’ll throw a strike. Similarly, should your opponent launch an attack at you, changing your stance to mirror theirs will block it, and if you time it just right with a counter strike, you can block with such force that you’ll stagger them giving you the perfect opening to go on the offensive. Guard breaks, interrupts, dodges, combos, attack cancels, and several unique moves all come together to give each character a varied repertoire, and if you want to be successful, getting an understanding of each character’s strengths and weaknesses is an absolute must. If these elements remind you of a fighting game, then you wouldn’t be far off the mark. In fact, the one-on-one fights that happen often in For Honor feel very much like that of a fighter. Players probe each other’s defences, launch combos, get blocked, and reset to try again. The only difference is there’s often the chance to turn tail and try and find a teammate to help you out. 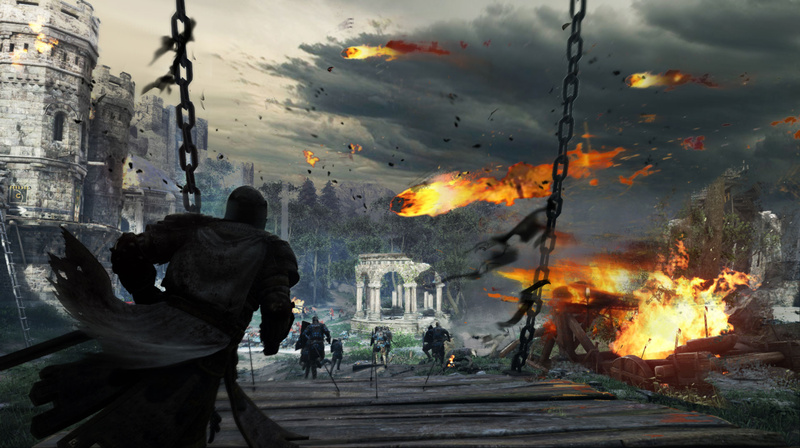 While the tactical nature of the combat makes for some very enjoyable battles, the high initial skill floor means that even having played through the campaign you’ll still need to be prepared to get frustrated once you enter the multiplayer modes. You’ll be dominated, pushed around, and generally made to feel totally inadequate – especially when you get hit by a complex combo right out the gate before getting unceremoniously kicked off a ledge to your death. It’s entirely possible that you’ll end up so frustrated that you’ll give up on For Honor entirely, but if you stick with it you’ll gradually get a feel for the best way to fight, and that effective blocking – as well as timing your combo button presses correctly – are the first steps on the road to victory. There really isn’t a dud mode among them, and while matchmaking can take a while for the less populated game modes – which inevitably will lead to matching with a player either way above or below your skill level – there are enough people playing this close to launch that you won’t end up in matches populated with AI bots too often. 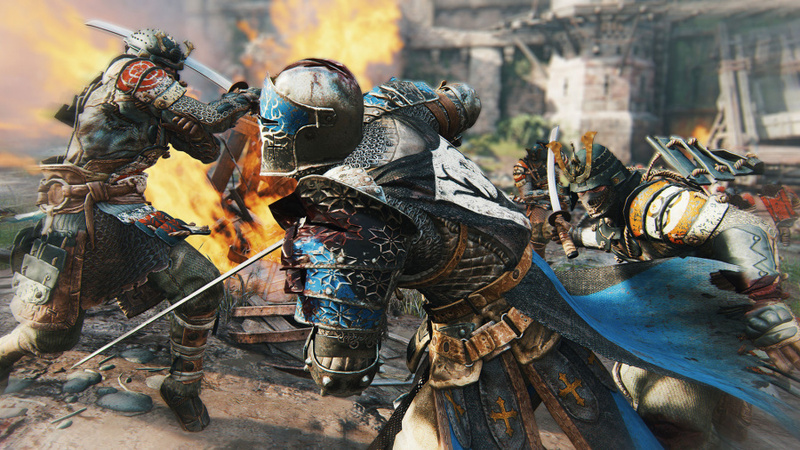 Wrapped around the multiplayer are a few other systems that aim to keep you invested in For Honor longer term. Perhaps the largest of these is an overarching battle map that has you pledging allegiance to one of the game’s factions and contributing your score each match towards expanding or defending the areas controlled by your group. After a two week round – or a ten week season – rewards will be dished out based on each faction’s performance, so at this point only time will tell if the swag turns out to be worth the effort. In addition, there’s an end of match loot system that awards you armour and weapon parts that provide a variety of stat boosts and cosmetic changes. While this again provides another layer of complexity, the fact the stats associated with your gear only applies in certain game modes means it feels a bit superfluous at times, and you’ll be much better off mastering For Honor’s swordplay since it’s going to be the biggest single element that determines the outcome on the battlefield. 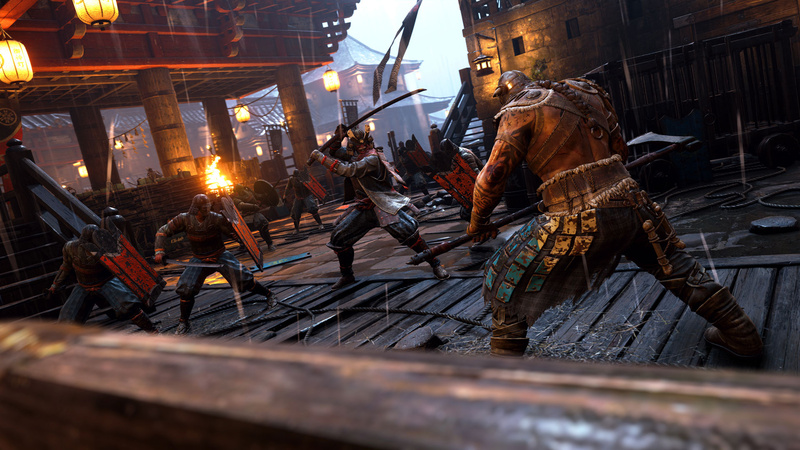 By successfully meshing team based multiplayer with the sort of mechanics you’d normally find in a fighting game, For Honor manages to offer an experience like no other on the PS4. While the skill barrier to entry will likely cause frustration for some, anyone who puts time into learning the extremely deep combat will find each hard-fought success immensely satisfying. While the ancillary mechanics – such as the battle map and loot system – don’t feel particularly engaging, it’s the enjoyable campaign and multiplayer combat that are enough to ensure this title deserves more than just an honourable mention.